Don’t get us wrong, there is absolutely nothing wrong with the medical care that’s provided by the NHS at Good Hope Hospital, Sutton Coldfield. Because we are a local firm providing local financial advice many of our own staff, friends and family have been treated there. 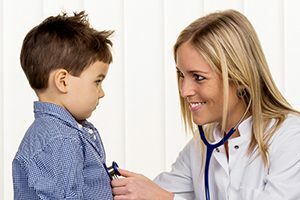 But, if you want to get a diagnosis faster, or treatment for certain medical conditions quicker, there is no substitute for having private medical insurance in Sutton Coldfield in place. Over the past few years insurance providers have reviewed the cost of this kind of cover and this is now a very competitive market. There are lots of options to consider which is where we can help. We take a holistic view of financial advice and therefore can recommend the most appropriate private medical insurance in Sutton Coldfield based upon your individual circumstances. You could of course do this yourself, but we can save you time and because we know the market and are regularly talking to clients about all kinds of insurance we are experts in recommending private medical insurance in Sutton Coldfield. When searching through the options and costs you may be surprised to learn that you can arrange cover for you and your spouse and in some instances your children can be covered too, up to a certain age. Whilst not a replacement for the treatment and care provided by the NHS, procedures for which you may have to wait for a length of time for, such as knee or hip replacements can be done at a time that is convenient to you and save you being on a waiting list for what can be months. We can arrange private medical insurance in Sutton Coldfield, so why not contact one of our Advisers for a no-obligation chat. This peace of mind may cost less than you think, and if you have got pre-existing conditions these can be taken into account and with some policies after a qualifying period they can be covered. Your first meeting with one of our financial advisers to discuss private medical insurance in Sutton Coldfield is at our cost and without obligation. Please contact us to discuss your requirements.